Sometimes we rescue horses, but oftentimes they rescue us. After Theresa Batchelor underwent surgery to remove a tumor that had been growing in her spinal cord, she was left with no feeling below her neck. She gained back the use of her limbs through extensive therapy, but was told that she had to give up her passion for horseback riding. When Theresa heard about a young Arabian mare that had been seized by the county due to neglect and abuse, Theresa knew she could build a supportive bond by rescuing the horse. One of the Four Pillars of Equine Wellness is Active Lifestyle, which highlights the importance of building a positive bond between human and horse. Theresa's story shows just how important and rewarding that bond can be. Theresa named the traumatized mare "Beauty," and had to train her from the ground up. Beauty was afraid of all people, but Theresa's kindness and persistence allowed her to foster a bond with Beauty like none other. Theresa's limbs would sometimes tremble due to nerve damage, but that didn't inhibit Beauty's training. She taught Beauty special voice commands and worked to build a bond of trust. Through Beauty, Theresa regained her passion for horseback riding, and was also inspired to start an equine rescue organization, which is called "Beauty's Haven Farm and Equine Rescue." 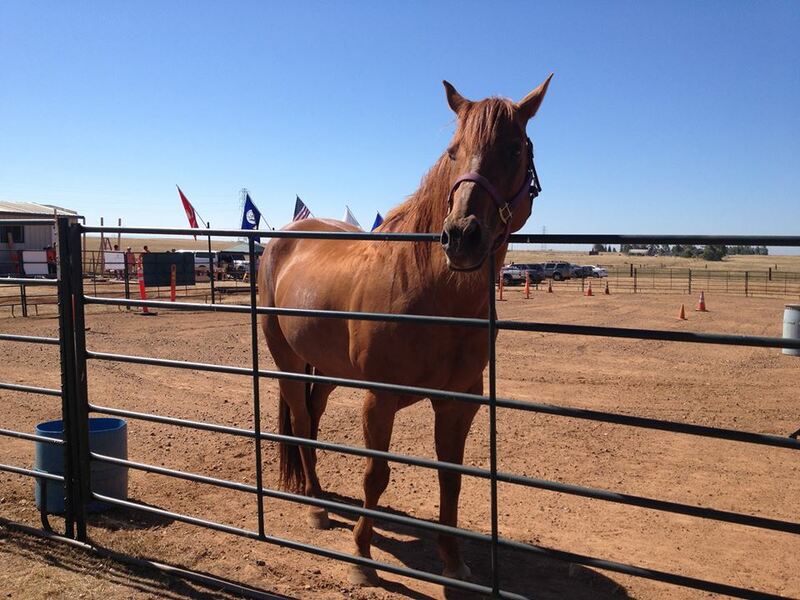 The mission of Beauty's Haven is to rescue horses from auctions and kill buyers. Beauty's Haven networks with other rescue organizations in Canada, Mexico, and throughout the United States in an effort to end horse slaughter and to educate others about this inhumane practice. Beauty's Haven takes in all kinds of horses, including ones that have been abused and have medical conditions or injuries. Last year, they rescued an injured, blind mare named Spirit. 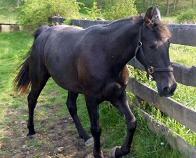 Beauty's Haven cleaned her up and she was adopted into a home that had another blind mare. Spirit and friend at her new home. Rescue organizations like Beauty's Haven teach us that through compassion and friendship both horses and humans can overcome the hardships they've been handed in life. Thank you to these wonderful companies for donating to Beauty's Haven with us. 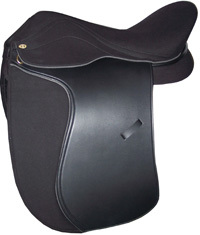 Great companies doing good things to help horses! The phrase "horse slaughter" can make even the toughest person shudder, but this phrase is particularly heart-wrenching for people who see horses as companions. Unfortunately, many people in North America see horses as a commodity. The United States in particular stands out for its record number of horses bred for recreation and racing, which has led to the US being the largest horsemeat exporter in the world. Until society shifts its view and stops overbreeding horses, the problem of horse slaughter is not going to die away. However, the positive side of this story is that there are many people stepping up to the plate, especially horse rescue organizations that are working diligently to save horses from slaughter, educate the public about the problem of overbreeding, and advocating for equine adoption. Our Equine Wellness Rescue of the Month for August, Another Chance Equine (ACE) Rescue, is one organization that has a great track record for rescuing horses from slaughter and pairing them with forever homes. ACE Rescue is a certified non-profit that operates out of Ohio. They also rescue horses suffering from abuse and neglect. ACE Rescue has numerous rescue stories on their website. For example, there's a horse named Chance, who was in so much pain that he couldn't move, wasting away, and prepared to die. With the generous help of Shannon Cessna of Cessna Stables, her boarders, and her riding students, this horse was given a new name, and a new life. Chance has many old racing injuries and conditions that resulted from the hard running he did. So he will never be ridden, just loved by many people, especially by his sponsors. Another one is Fiona, a Walker mare, saved from slaughter at Sugar Creek, who has been adopted and is being spoiled rotten. She is being ridden on trails almost daily and is in training for her Mom to take over soon. 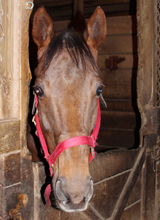 ACE Rescue presently has two horses that came from starvation situations and both are ex-race horses. Tally was part of a seizure and Landy was saved from Sugar Creek (horse auction). If you would like to nominate a rescue, leave us a comment on our Facebook page! Many thanks to the companies who donated to ACE Rescue with Equine Wellness Magazine through our "Rescue of the Month" program. Companies who help benefit the lives of horses warm our hearts! When a horse is past its prime, or when it's been neglected or abused, there can be the unfortunate perception that the horse no longer has value. Some people think, if you can't ride a horse then what is it good for? This sad reality means that many old or abused horses end up in slaughter houses. Thankfully, not all people share this viewpoint. Numerous horse rescue organizations take in horses that have behavioral problems, need medical attention, or have entered into old age. A lot of these horses spend their lives at horse sanctuaries, since people can find it daunting to adopt a horse that cannot be utilized for activities like riding and farm labor. However, horses that suffer from abuse, medical conditions, neglect, or old age actually do have important purpose. 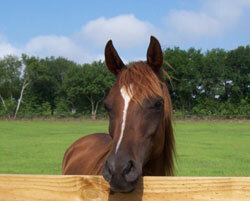 Organizations like Horses Healing Heroes have created programs centered around Equine Assisted Psychotherapy. For example, the H.E.A.R.T. 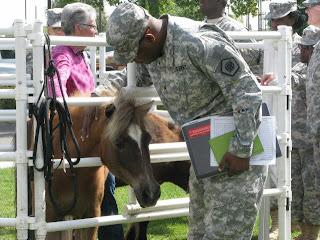 Program (Home for Equines Abused or Retired for Therapy) places horses with veterans, police officers, and people suffering from traumatic events. The horses are often rescued from negligent owners or are surrendered by owners because of their old age or medical problems. Through utilizing Equine Assisted Psychotherapy, these horses are providing comfort and healing for people suffering from trauma and post traumatic stress disorder. Horses Healing Heroes witnesses the healing power of these horses on a regular basis. One of their favorite stories is about a young man who had been deployed to Afghanistan. He found the equine therapy sessions and interaction with the horses so calming that he bought a horse and is now learning how to ride. Prior to his involvement with Horses Healing Heroes, he had never been near a horse. 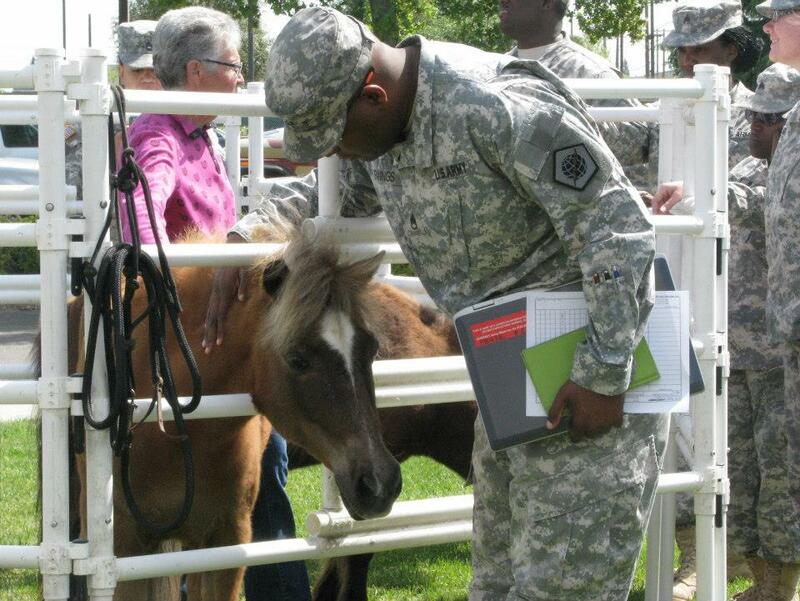 Horses Healing Heroes referred him to a local trainer, who paired him with the perfect equine companion. He recently wrote Horses Healing Heroes to thank them for leading him to his new "horse therapist," and for making a difference in his life. The effects the horses have on the people they are assisting is incredible. Just being around the horses creates a calming environment of love and comfort. Building a bond of gentle and nurturing friendship with a horse provides a companion that can simply be there for comfort when people need it the most. Horses Healing Heroes often receives support from the people they help because people are so grateful for the differences the therapy has made in their lives. Recently, a group of soldiers in town for a couple of months came out five Sundays in a row and put in a perimeter fence with dozens of railroad tie posts, hundreds of t-posts, no-climb, and fence posts. The wire used was mostly recycled Blackhawk helicopter cable donated by a local Army Medevac unit! Fundraising support also comes from soliciting grants. 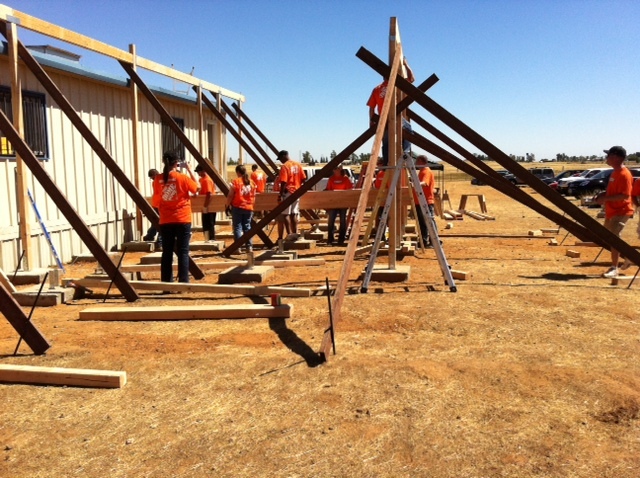 Horses Healing Heroes recently received a grant from Home Depot for the construction of a covered deck where their clients and therapists can meet before they head out to the arena. The property had been a bare, unfenced pasture two years ago and they had been meeting under a popup stall with mats before they received the grant. However, the organization relies heavily on donations and is hoping to find a wood or pipe company that can help replace the paddock with permanent fencing. With just two staff members and twelve volunteers, Horses Healing Heroes is always looking for more support. Proud to be a Ponder! There is something noble about the draft horse breeds. They're dedicated workers who are bred for hard, heavy tasks such as ploughing. Yet they are also known for being gentle, docile, and patient. They are full of strength, courage, and love. Sadly, many draft horses get used up or find themselves without a home or in need of rescuing. While we hate to think of horses needing to be rescued, it is heartwarming to know that there are people who mirror the draft horse traits- people who are strong, patient, and dedicated to rescuing and saving draft horse breeds. In the state of Ohio, located within an Amish community, there is a family that has dedicated their lives to saving draft horses. Frog Pond Farm Drafts was established in 2002 by the Gordon family. 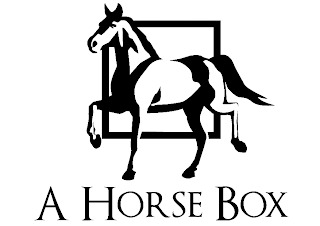 They are a registered non-profit charity and are committed to matching the best horse with the best possible home. They are also known for taking in severe rehabilitation and medical cases that others won't. 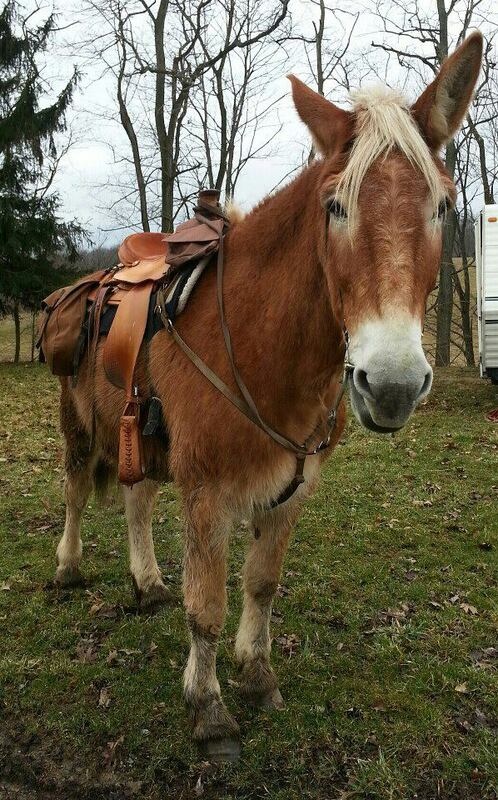 Tyson is a draft horse that is a perfect example of the type of work to which Frog Pond is committed. He's waiting to meet with his potential home next week and has come a long way. He was hauled to several auctions before landing on a broker lot. Then he was pulled by a private individual, but needed placement. And then he had surgery for a floating coffin bone tip. After much rehabilitation therapy provided by Frog Pond, Tyson has healed and is ready for a new home! Frog Pond Farm Drafts came to our attention through recommendations on the Equine Wellness Facebook Page. Hundreds- yes, hundreds!- of Frog Pond supporters wrote in and told us they were "Proud to be a Ponder!" We chose Frog Pond Farm Drafts as our July rescue organization of the month and we are so glad we did! 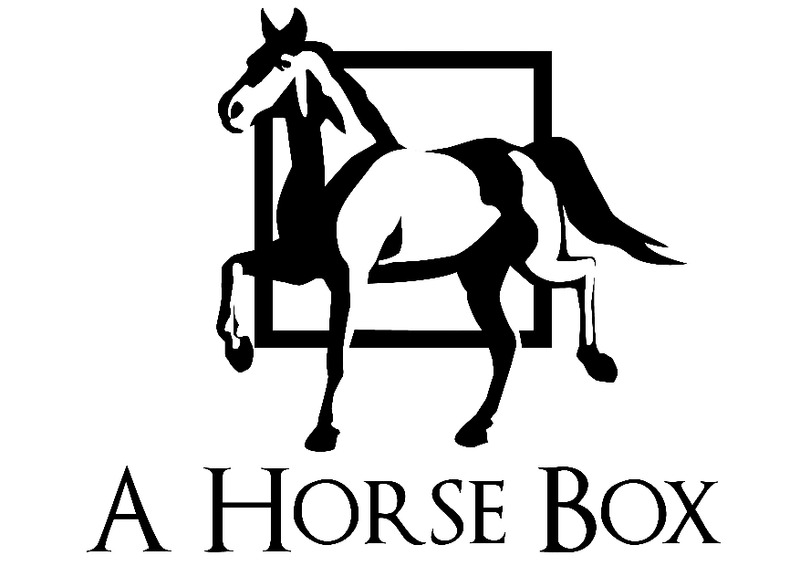 The current goal of their organization is "to Rescue, Rehabilitate and Rehome the needy draft horses and ponies of our area; educate the community in the plight of “unwanted horse” syndrome, personal responsibility and required care of their equine companions." We think that is a great cause to support! Two fabulous companies donated to Frog Pond Farm Drafts with us. One was COLDFELX Self-Cooling Cold Therapy. Their products are the future of safe, effective cold-therapy treatment. They also use their Facebook Page to network homeless animals with people. 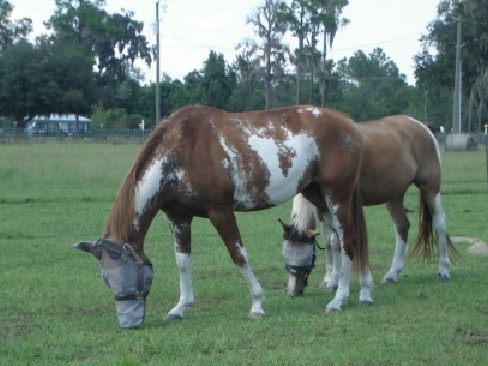 The other was NibbleNet, who makes a product called the NibbleNet Hay bag, which is the perfect slow-feeding system for horses. 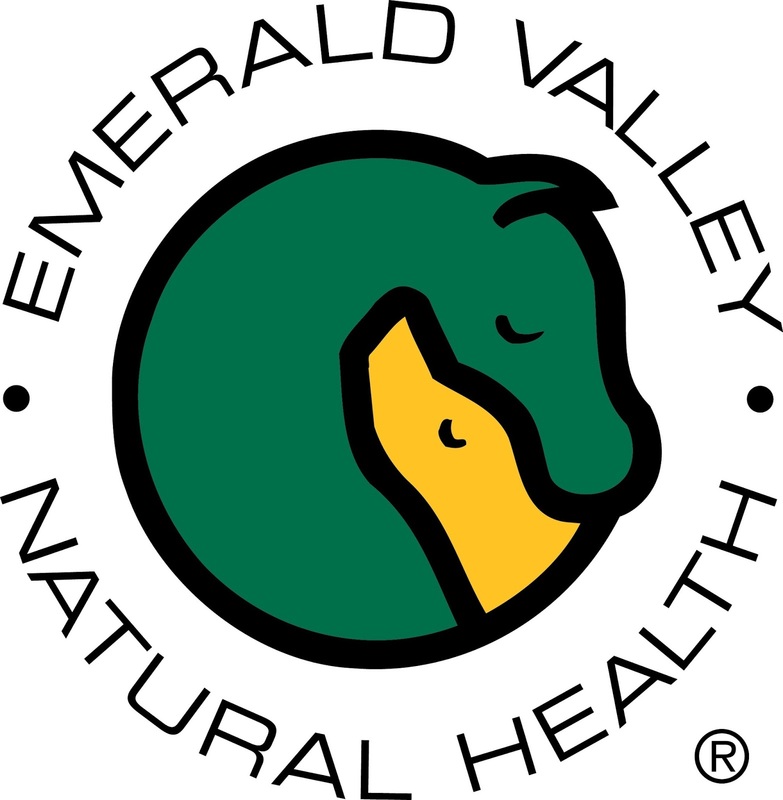 Want to become an Equine Wellness Ambassador? Click HERE for more info!